Today, Aoyama is one of Tōkyō’s most fashionable and expensive neighborhoods. 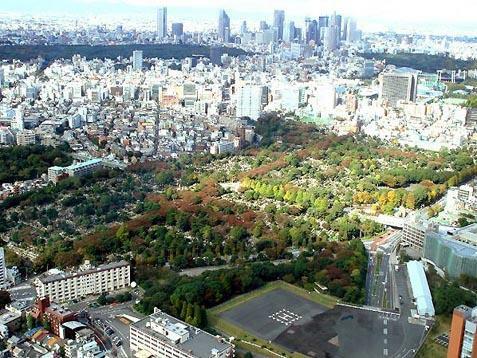 It borders Harajuku and Shibuya and is famous for shopping, high end dining and has a remarkable amount of green space – sorely lacking in other areas of the city. Aoyama is a family name. 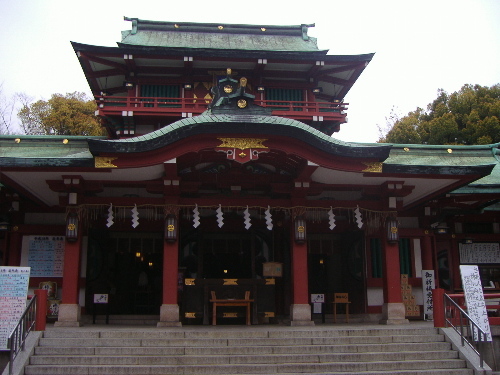 In the Edo Period, 郡上藩 Gujō-han Gujō Domain (located in 美濃国 Mino no kuni Mino Province; modern day 岐阜県 Gifu-ken Gifu Prefecture) was administered by the Gujō branch of the Aoyama clan. The castle and seat of the domainal government was at 八幡城 Hachiman-jō Hachiman Castle, so sometimes the domain is referred to as Hachiman-han. 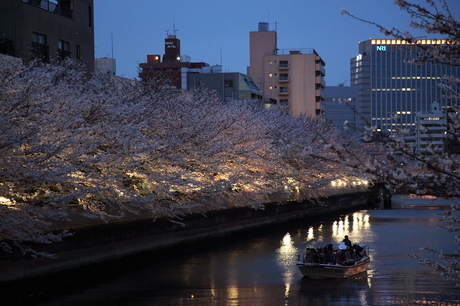 Since the clan originated in Mikawa, the family had a special relationship with the Tokugawa. At one point, during the Sengoku Era, they were responsible for the education of Tokugawa Hidetada who would later become the second shōgun. 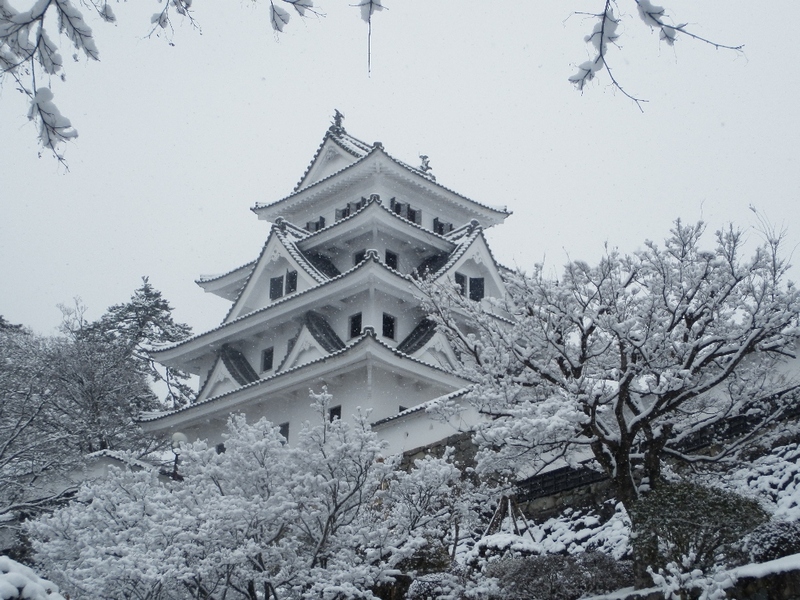 Gujo-Hachiman Castle Today (it’s a reconstruction from 1933), but the town and castle look well worth a visit. They had a sprawling palatial residence (下屋敷 shimoyashiki) in the outskirts of Edo. When daimyō residences were confiscated by the Meiji government for re-purposing, the land of the Aoyama residence was converted into present day Aoyama cemetery. It’s a massive urban cemetery. If you walk around it, you can get a feel for how large the estate once was. 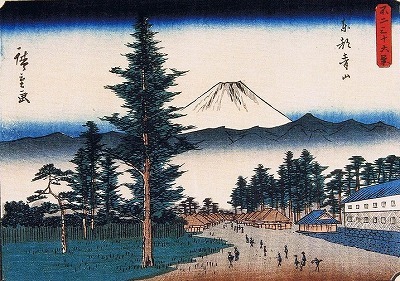 Even though the family was only worth 48,000 koku, this sub-residence was one of the biggest in all of Edo. 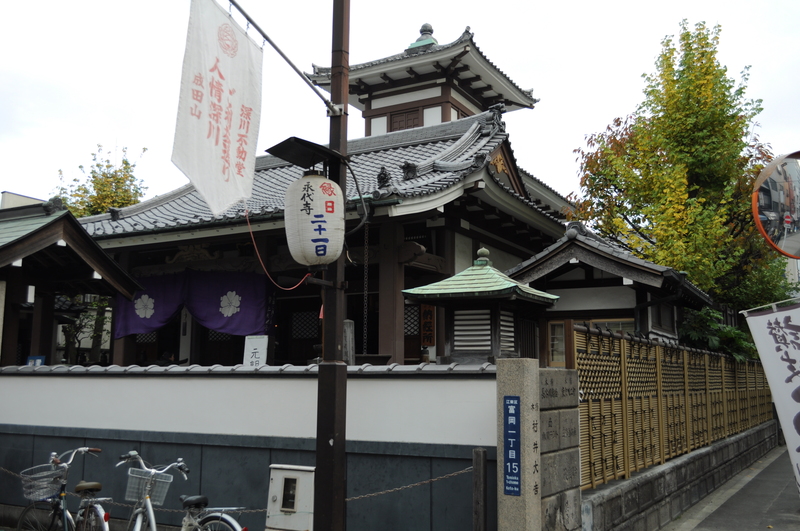 None of the domain’s buildings exist today, but the Aoyama family temple, 梅窓院 Baisōin Baisō Temple, can still be found in Minami Aoyama. Supposedly, the building on the right is one of the Aoyama residences.